I first met Penelope Przekop when we had a joint signing at Borders. At the time I was impressed with her passion for her work. Since then, I’ve come to know her as a multi-faceted-artist who, in addition to writing both prose and poetry, produces paintings of astounding complexity and vivid color. I think followers of Birth of a Novel will be as impressed as I was–and am. 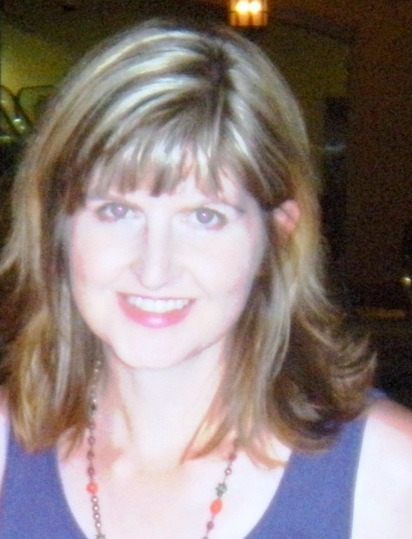 SANDY CODY: When did you first realize you wanted to write? PRZEKOP: I don’t know if I ever feel completely satisfied with my writing. I feel a constant push to do it better, make it better, express it better. What I enjoy the most is feeling submerged in a world of my own creation. A world where I can manipulate characters and circumstances to express something important to me, or successfully pose a thought provoking question to myself and the reader. I love finding ways to do that in some sort of beautiful, magical way using the tools available to a writer in terms of plot, dialogue, word choice, pacing, etc. I also like viewing a book as a self-made puzzle. I create all the pieces and then I get to figure out how they can fit together to evolve into something interesting and meaningful. PRZEKOP: I never thought I’d say this, but for me, the most difficult is the business side of writing. At least producing is self-directed. Once you move into the process of trying to find a publisher, you’re hit with multiple outside factors that you can’t control no matter how determined you may be. That frustrates me sometimes because I’m highly independent and self-motivated. CODY: What comes first for you? Characters? Story? Setting? PRZEKOP: I first consider what I want to write about in terms of themes such as grief, corporate American, art, first love, avoiding life, etc. I ask myself, “What is on your mind? What interests you at the moment?” Once I figure that out, I start thinking about characters. The story and settings comes third. In my mind, they are all equally important but I know by now that I will do better focusing on themes that get my own wheels turning and heart beating. Writing is like an exploratory exercise for me so first I have to decide what I want to explore. CODY: Tell us something about your novel, Aberrations. PRZEKOP: Aberrations is the story of a young narcoleptic woman whose life has been overshadowed by the mysterious death of her mother. The main character is Angel Dust. She has narcolepsy, a sleeping disorder that serves as a strong metaphor for how some of the key characters have managed to avoid living life to the fullest. The novel is set in Shreveport, Louisiana, where I grew up. It’s set in the late 80’s, which was a time of great cultural transition in terms of communication. Angel is part of the generation just before computers and cell phones emerged. The world was opening up in many new ways to these young adults, yet the culture they were raised in remained a strong influence, causing many internal and external conflicts. With Aberrations, I set out to explore themes of being (or feeling) motherless, avoiding life, the ramifications of keeping secrets, adoption and personal evolution to name a few. I worked on the book on and off for nearly ten years. It’s partially based on some of the experiences I had as a young adult, including having a baby on my own as a college senior. It’s gotten great response/reviews, and I’m still trying to figure out ways to introduce it to new readers. CODY: And your blog, Aberration Nation. PRZEKOP: Aberration Nation began in 2008 as a series of essays on how life’s aberrations can ultimately build us up and cement who we are as individuals. From there, it evolved into a hub for stories of extraordinary individuals who have overcome, or continue to battle various aberrations, whether physical, psychological or situational. These inspiring individuals share how they have overcome and continue to survive and grow through the crap life throws at us. In early 2010, the focus of Aberration Nation shifted from …about being human…to…about being creative. Various creative individuals are now coming to Aberration Nation to share their thoughts on creativity and life’s aberrations. The fascinating stories and insight shared are inspirational, not only for the creative, but for everyone. One aspect of creativity is the gift of thinking beyond borders and boundaries, the very focus that is often needed to embrace and move past the ongoing challenges of being human. My own creativity has gone through a lot of change in the last couple of years, and I wanted to explore what it means to be creative through my blog. It’s kind of like my own journal in a way. I often tap into some of the comments made by those I’m interviewing because they strike a personal chord with me, and share my thoughts in the introductions to the interview responses. 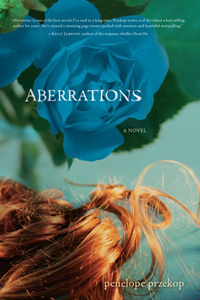 Aberration Nation has been praised by acclaimed authors Anneli Rufus, Antwone Fisher, Margaret Weis, Marya Hornbacher, Terri Cheney, Marisa Acocella, Melissa Walker and Susan Cheever. CODY: Does your new novel, CENTERPIECES, follow along in this same theme? Tell us about it. What if Vincent van Gogh faked his death in 1890, changing his identity forever? Imagine if he somehow managed to walk the streets of Manhattan in 2010, a charismatic yet lonely pharmaceutical executive longing to paint? How would he survive, and what price would he ultimately pay to gain back what he’d lost? Overshadowed by the world’s largest pharmaceutical company, Van Gogh’s secrets emerge in 2010 Greenwich Village, New York amidst a bizarre bookstore, strip clubs, art galleries, brownstones, and Starbucks ad nauseam. Two extraordinary brothers and two very different women struggle to carve out unique identities in a world where middle age is the beginning of the end, and forever takes on a whole new meaning. Where corporate puppets and dreaming immigrants pass in the hallowed burning halls of Ellis Island. CENTERPIECES is a journey of self-discovery, friendship, betrayal, fantasy, corporate intrigue, and love. The novel is based on actual events that occurred during the lives and deaths of Vincent and Theo van Gogh as well as Theo’s wife/widow, Johanna Bonger van Gogh. What an amazing story they had! CENTERPIECES also focuses on the themes of mid-life, creativity versus logic, and current corporate America versus the ideals embodied in Ellis Island. I believe CENTERPIECES is an exciting and touching novel that embodies the memory and message of Vincent and his art, and slams that passion and hope straight into the heart of 2010 New York City. I’m currently looking for a publisher for CENTERPIECES. It’s being considered by quite a few great publishers but has yet to be placed. CODY: You are also a painter. In what ways do the two different art forms influence each other? Do you feel that your work in one enhances your work in the other? PRZEKOP: They’re both highly visual, at least for me. I visualize everything with precise clarity. I only began painting about two years ago, and it’s really changed my life in many ways and has shown me more about who I am. I’m very much in love with painting at the moment but have also started a new novel. I’ll admit that it’s tough to do both because fully immersing yourself into two very different creative projects requires a bit of a split mind. I’m good at multi-tasking but it takes a lot of discipline to shut out one and work on the other. I think they enhance each other for me, however, because the painting is opening me up more to who I am and what I wish to express, which can only help with the writing as well. CODY: What other writers/painters (or artists in any field) do you especially admire? PRZEKOP: Gosh, that’s a tough one because there are so many. Here is a short list of some of my absolute top favorite creative folks: U2, Philip Roth, Pat Conroy, Vincent van Gogh, Nathaniel Hawthorn, John Irving, Jean Marc Calvet, Frida Kahlo, Red Hot Chilly Peppers. There are so many that I hate to make a list because I can’t include them all. But with that said, I am picky. CODY: What advice would you give to a beginning writer or painter? PRZEKOP: Well, I’m not sure I been painting long enough to give advice, but with regard to that, I’d say to forget about perfectionism and just go with what you can personally create. Perfectionism is boring. I often find that I learn the most and get the most ideas from the imperfections and mistakes I make along the way. As in life, if you can take a mistake or wrong turn and flip it into something spectacular, you’ve often hit on something truly unique and interesting. As for writing, certainly you need to know your grammar (which I still work on). Also, in most cases, it will be a long haul so you must have the drive and determination to keep going in the face of rejection. I suppose that’s true for painting as well. If there is something you like doing more, do that, because gaining success as a writer is extremely tough. I’ve learned over the years that the most important thing in the end is what my writing has brought to me and my personal journey. I have to love it and cherish it most for that, not for what kind of paychecks or fame it may provide. CODY: Tell us something about your current project. PRZEKOP: I recently started a new novel that I’m calling DUST at the moment. DUST is a family story about a sister and brother (Honey and Dust) living on each side of the country (Seattle and Philly, respectively) who reunite after ten years to attend their stepfather’s funeral in Dallas. The stepfather, Jim, is in Heaven with God and his interactions with God drive the book forward. With God, he watches Honey and Dust with their kooky hippie-turned-religious-fundamentalist mother (Jane), her elderly, prejudiced mother-in-law (Harriet) and Jim’s trying-to-get-out-of-the-closet daughter (Norma) over the course of a week. The book is about what happens when this cast of characters is thrown together under the stress of grief, several dysfunctional relationships, and Norma’s coming out. Through all of this, God seeks to welcome Jim into Heaven and explain what’s next. The themes I’m trying to explore are religion, prejudice, grief and parenting of adult children … and, of course, the whole what is life really all about stuff. CODY: Please tell us something about your Art for Haiti project. PRZEKOP: I’m inspired by all sorts of things, everything around me. I realize that’s a bit broad, but drinking in sights, situations, emotions, etc., gives me ideas. Of course, there are some things that really get me going such as music, nature and seeing and experiencing great art. Thinking about the past inspires me also because, although I don’t choose to dwell on negatives, remembering the negatives I’ve been faced with makes me want to create something positive, something lasting that only I can possibly offer, based on my own unique experiences in life. If not for the ability to do that, I find life a bit meaningless in the end, given all the heartache we face. Of course, there is joy in life, but I’m not convinced that the joy is worth some of the pain. I’m one of those who sits around wondering: Why the pain? Why the tragedy? Perhaps it all sounds a bit self-centered but I think we would all like to believe we were put here for a reason. I see many reasons for living and enjoying life beyond art but I must be honest and say that, at the core, I want to die knowing that I contributed something unique to the world–that I passed through and created some kind of change or courage for someone else, no matter how small. So, in a way, I guess I’m saying that the pain and tragedy are my inspiration.